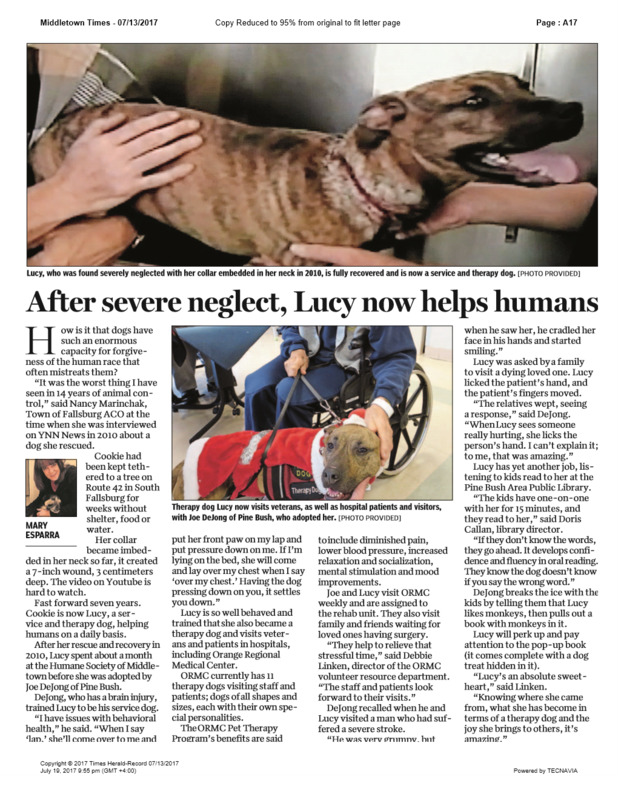 Lucy is an AKC Certified therapy dog. 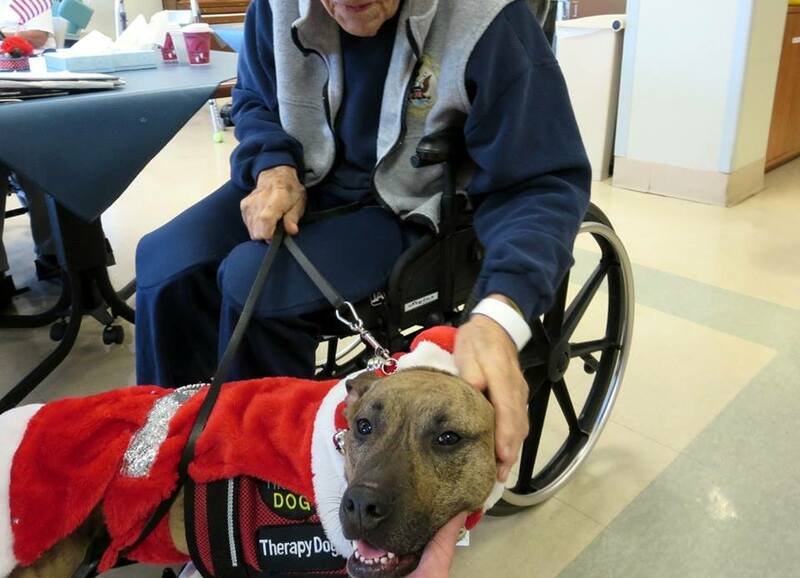 I am a volunteer, not a veteran, in the pet therapy program at the Castle Point and Montrose VA Hospitals. We go around visiting the patients. It is a lot of fun watching the patients brighten up when Lucy walks into their room. Having a brain injury, I found that training Lucy was very therapeutic for me, and at the end, I have a great dog. I would like to share my experience with the returning combat Veterans with TBI / PTSD. 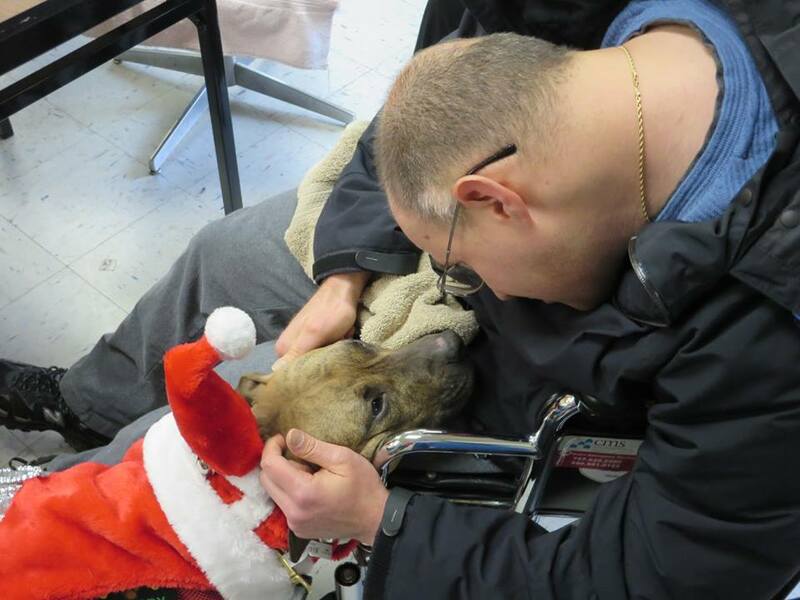 The Veteran will work with their local animal shelter and train a dog at their own local training center. 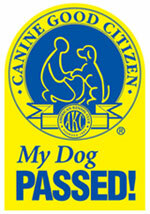 An evaluator from AKC will certify that the dog and veteran meet Canine Good Citizen certification. A dog must be certified by one of these organizations to be eligible to receive the AKC Therapy Dog title. At the end, the dog will be AKC Therapy Dog certified to go to hospitals or nursing homes. There will be no fund-raising, fanfare, marketing or any other type of activities that will interfere with the confidentiality of the Veteran. The expense will be burdened by the Veteran, and we need to keep it minimal. My expense training Lucy was around $500. Maybe people are willing to donate some of their time in doing this. Please forward this website TherapyDogLucy.org to any returning combat Veteran. They may know a Veteran that could use the help. This is strictly a civilian project. TherapyDogLucy.org is not associated with the military, Veterans Affairs or any other governmental agency. Please keep in mind that this is a therapy dog and not a service dog. A therapy dog does not have public access. Movie On Netflix "Shelter Me"
Aiming to boost the adoption of shelter pets, this uplifting documentary focuses on the success stories, including dogs trained as service animals for the disabled and others who are helping returning war veterans with post-traumatic stress disorder. Not sure if this works. Please check with your VA service coordinator. 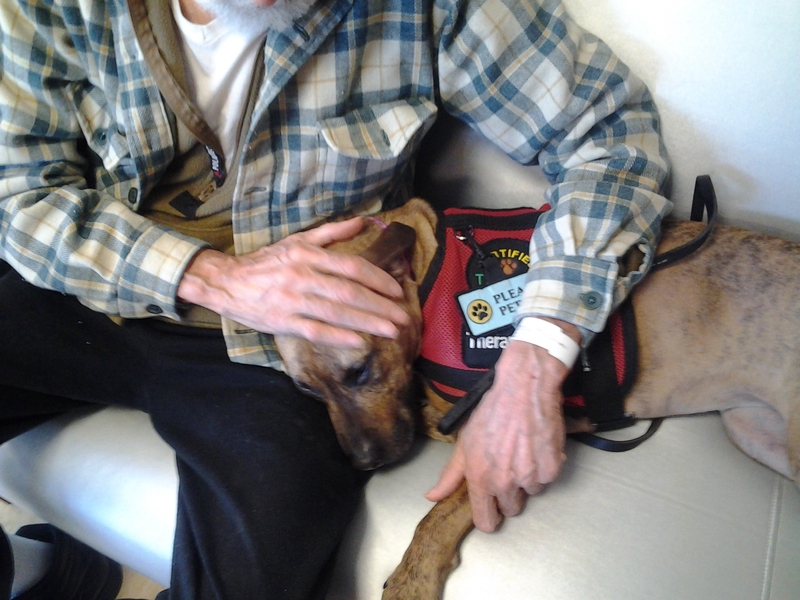 Veterans needs help foster caring their dogs when they go to the hospital. The American Legion or VFW may have volunteers to help with foster care. 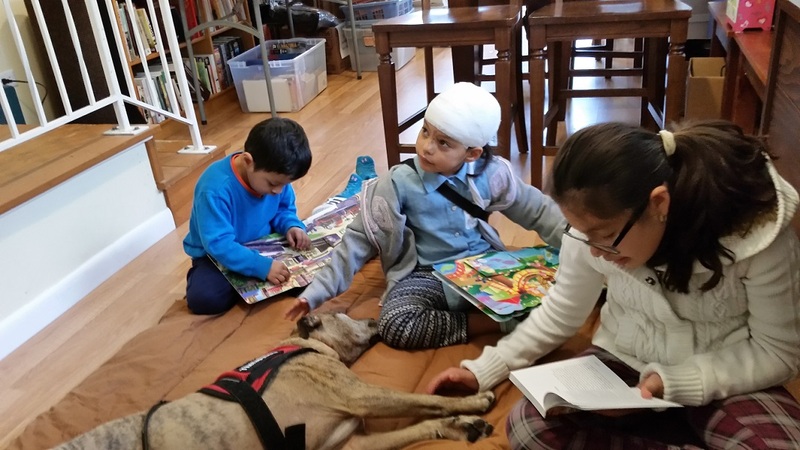 This is an example of training a therapy dog. First, find a trusted dog trainer. Maybe, the dog trainer is from the animal behavioral college dog trainer (ABCDT) or from the Association of professional dog trainers (APDT). Second, find a private dog shelter. The municipal dog shelters may have problems. Third, have the handler and the dog trainer talk about what type of dog the handler wants. Some communities fear the aggressive breeds. The dog trainer should do a assessment of the handler. Fourth, the handler and the dog trainer will go to the dog shelter, and the trainer will do a temperament test to see if the dog is okay. Fifth, go to the AKC website and find canine good Citizen. Then go to the AKC website and fine advance canine good Citizen. If you live in the city, you may want to take the urban canine good Citizen. Someone from the AKC will test the handler and the dog. The handler needs as much training as the dog to pass the test. The most important thing is to talk to as many people as you can. There are many opinions about service dogs. This opinion is the simplest and straightforward. The VA does not provide any service dogs. They can potentially reimburse veterinary costs through the prosthetics department. The only thing a veteran need to get a service dog is a disability. They must get their dog from an accredited organization (listed on the Assisted Dog International website) if they want reimbursement only. Otherwise, they can get a shelter dog, or a puppy and even train the dog themselves. Here is some detailed information about service dogs. 2. How do I determine if I am eligible for a service dog through VA? 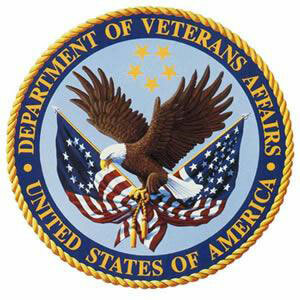 To receive any type of medical service through VA, you must register at the Health Administration/enrollment section of a VA Medical Center or online at: http://vabenefits.vba.va.gov/vonapp/main.asp. Once registered, a referral to a specialist may be requested through the assigned VA primary care provider. The Veteran's VA medical team will perform a complete clinical evaluation to determine how best to assist the Veteran. Each guide and service dog request is reviewed and evaluated on a case-by-case basis. What benefits does VA provide? 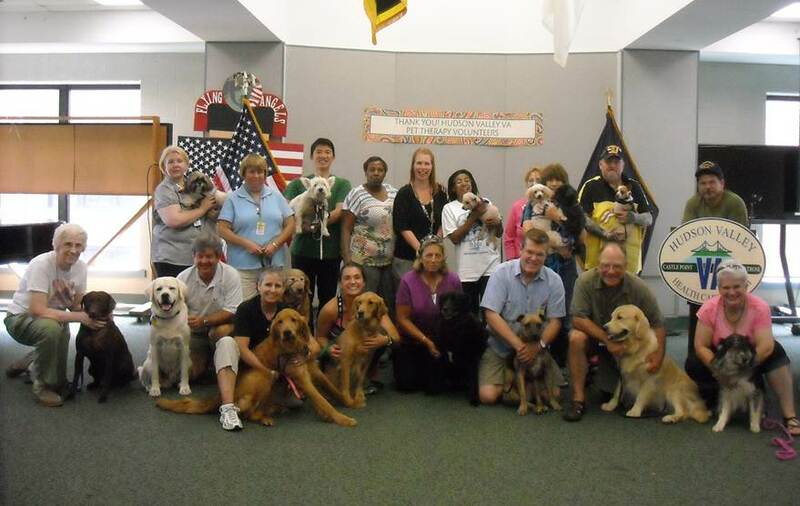 Veterans with working service dogs are provided veterinary care and equipment through VA Prosthetics and Sensory Aids. VA does not pay for boarding, grooming, food, or any other routine expense associated with owning a dog. Can Veterans with post traumatic stress disorder benefit from service dogs or emotional support dogs? International Association of Assistance Dog Partners (IAADP) is not Assistance Dog International North America. This is only an example of some of the tasks for a service dogs. 1. Go to http://www.iaadp.org/doj-def-comments-Title-II-III-SA.html and do a find on mental health practitioners. These tasks are based upon input from mental health practitioners, dog trainers, and individuals with a history of working with psychiatric service dogs. 2. 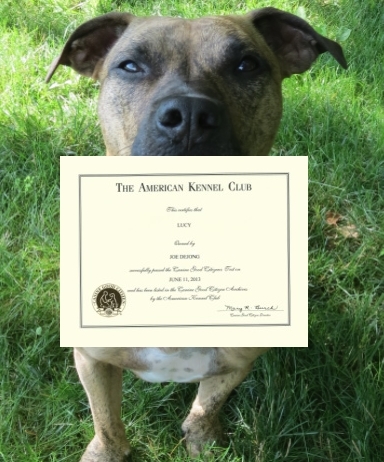 AKC Community Canine is the advanced level of AKC's Canine Good Citizen (CGC) program. Two questions you must be able to answer: (1) is the dog a service animal required because of a disability, and (2) what work or task has the dog been trained to perform. I found the following links. Not sure if they are OK. There are thousand of organization wanting donations. The problem they do not deliver a free service dog. The price is from $20,000 to $45,000 per dog. There is much confusion on how to get a PTSD/TBI service dog. If anyone had a good experience on getting one please to contact us.